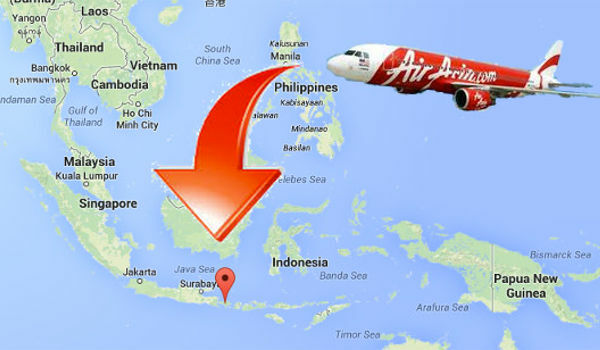 When I was planning my trip to Bali, Indonesia there were several tourists “hot spots” that come up in most guide books and online resources. 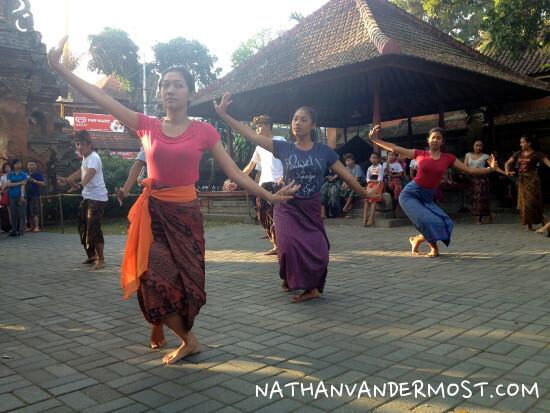 Ubud, Bali is one of those tourist destinations. 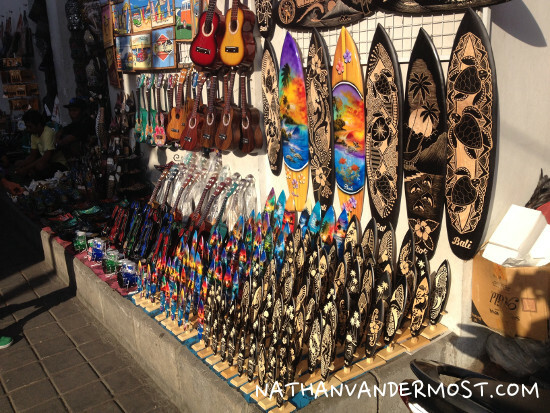 My initial objective to come to Bali was to learn how to surf. Fortunately, I have two days off in between my two week course. 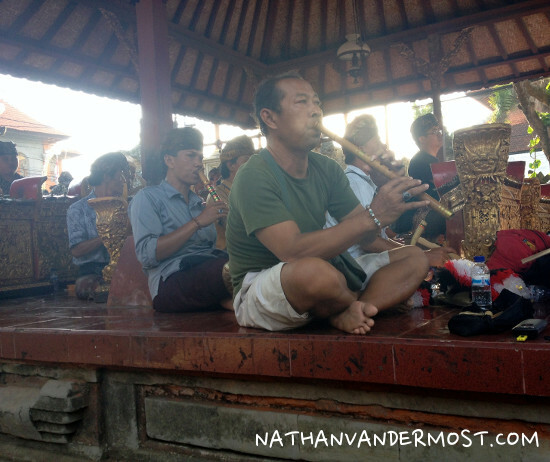 This allows me time to rest and see as much of Ubud as I can within two days. 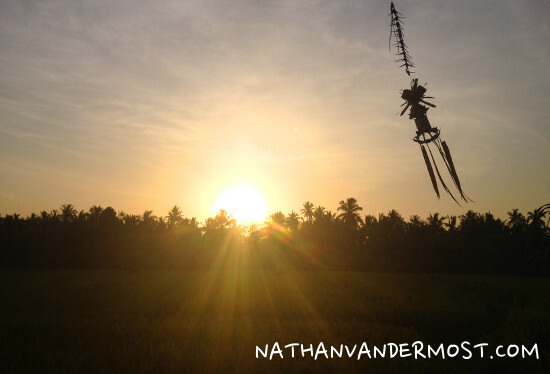 Ubud is roughly a 1.5 hr drive from Canngu, Bali, the location of my surfing course at the chill house. 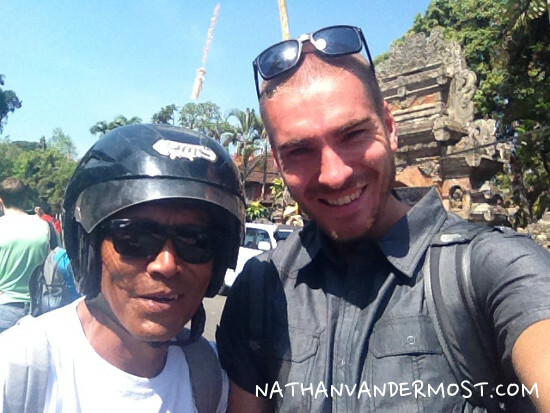 After deciding that I wanted to go to Ubud, I evaluated my transportation options which included taking a taxi for roughly 300,000 rupiah ($25 USD) one-way or driving myself via my motorbike rental. After considering the two options, I choose the 2nd. 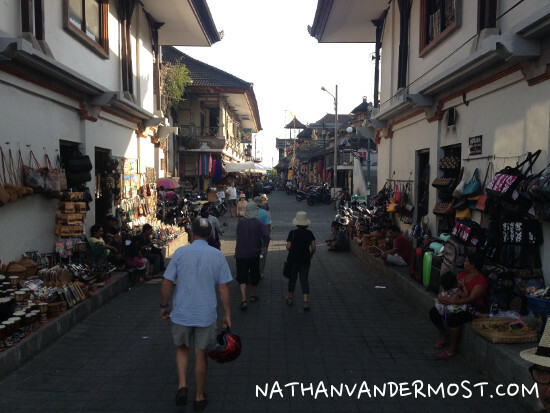 After arriving to Canngu, I had rented a 110cc motorbike at a rate of 40,000 rupiah ($3.40 USD) per day. The cost of fuel is a fraction the cost of the one-way taxi ride. Of course, there are some added risks when choosing to ride with the motorbike which include, getting lost, getting in an accident and having an elevated heart rate due to the insane traffic. 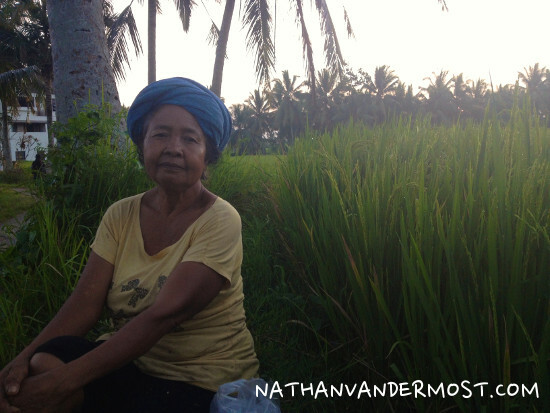 Since living in Thailand, I am more confident and comfortable driving on a motorbike and was excited about the journey! 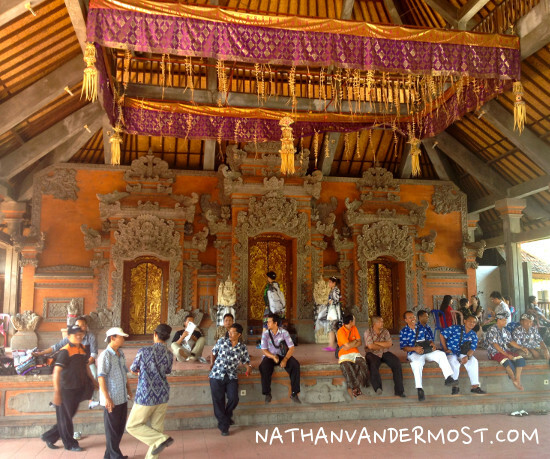 I got a late start driving to Ubud since I went out the previous night to Kuta, socializing with the local surf guides. 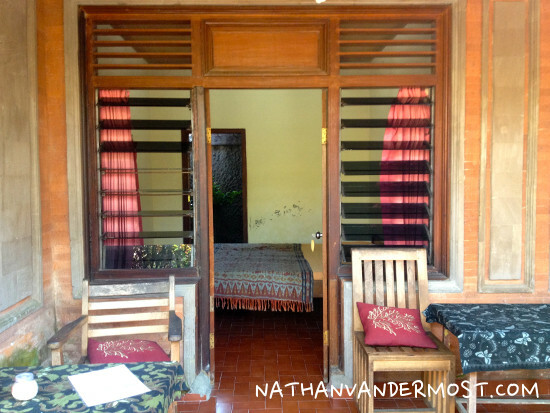 I was planning a short trip to Ubud and was planning to return to Ollie Ollie, the guest house at Echo beach which I had been staying at. Therefore, I left some unnecessary items with some fellow travelers such as my laptop, USB cords, power adapter, and other random things. It is important when traveling, especially short trips to carry as little as possible. Don’t bring what you don’t need. So! 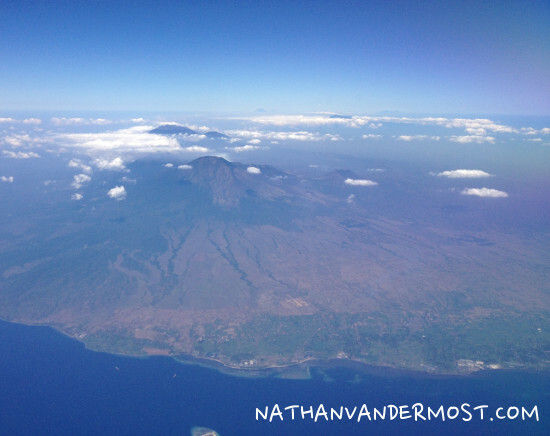 I was off to Ubud. I was navigating by my limited knowledge of the islands roadways and with the assistance of my smartphones GPS. 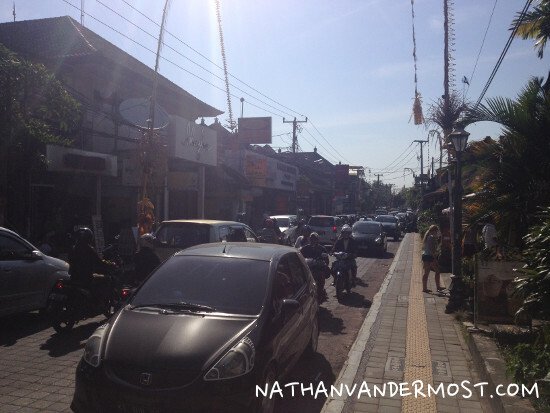 The roads in Bali are utter chaos. There are rarely traffic lights and the roads are narrow. Fortunately, with a motorbike, navigating through the chaos is not as tricky because you do not have a large vehicle to maneuver. 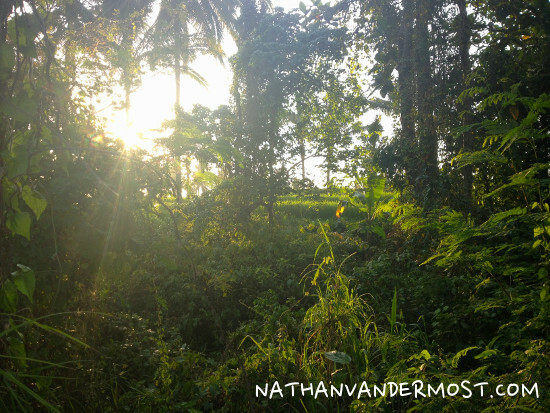 On my way to Ubud I would frequently pull off the road to reference my gps t make sure that I was going in the correct general direction. He also says that he wants to stop at a coffee farm. Mmm… I think to myself. Ok.
After following him for roughly 30 minutes we stop at a coffee farm and I am greeted by a tour guide for the coffee facility. It is then that I realize what happened. The guy that brought me to the farm gets a cut for bringing a customer. Dang. I had been conned. 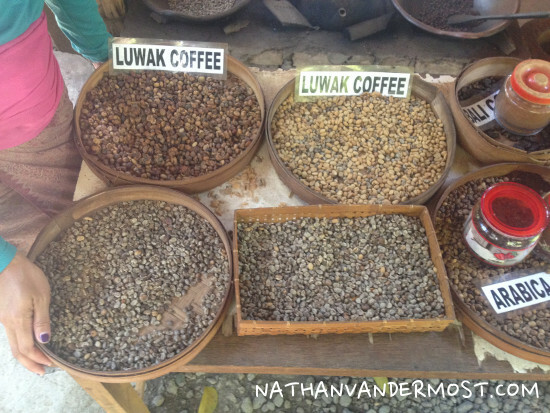 The Luwak does not bite the bean so it is still intact when it leaves the Luwak. Apparently, the luwat is very selective as to which beans it eats. 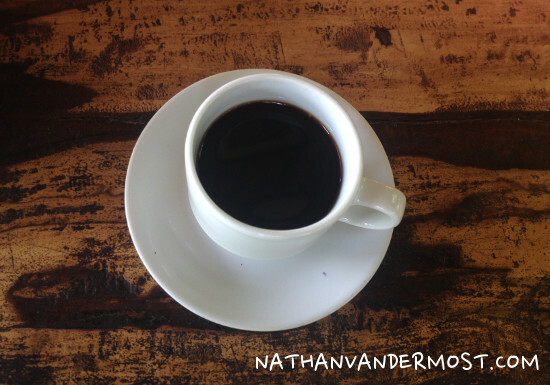 I had the pleasure to try the coffee for $4 USD. 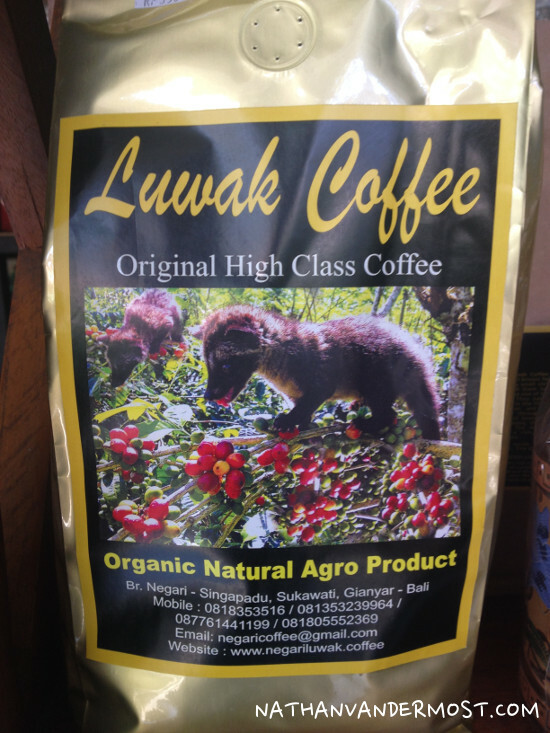 I love coffee and the luwat coffee was good but I was not blown away by its taste. 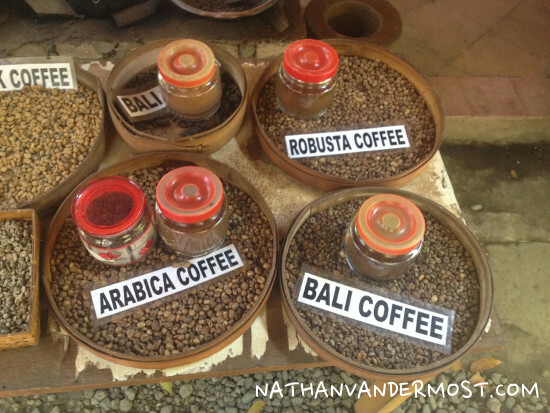 The farm facility had live Luwaks, different types of coffee trees and let me taste a variety of teas/ coffee native to Bali. 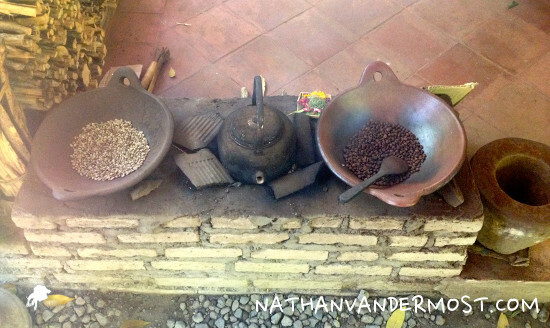 In all, visiting the coffee farm was a positive experience. 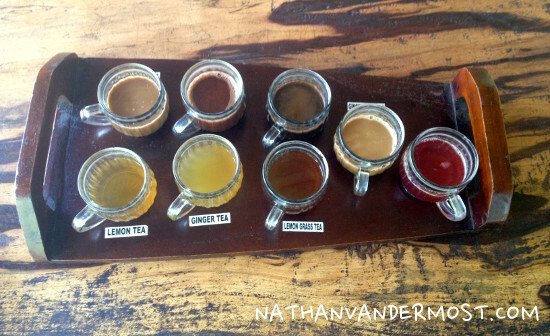 Afterwords, the same guy that led me to the coffee farm led me to Ubud. We arrived to the center of town and he wanted to know if I planned on doing any other activities. I’m assuming he was asking so that he could take me there and get a cut if I signed up. I told him that I was there for the day and just wanted to walk around. He was not excited with this response but understood and went on his way. 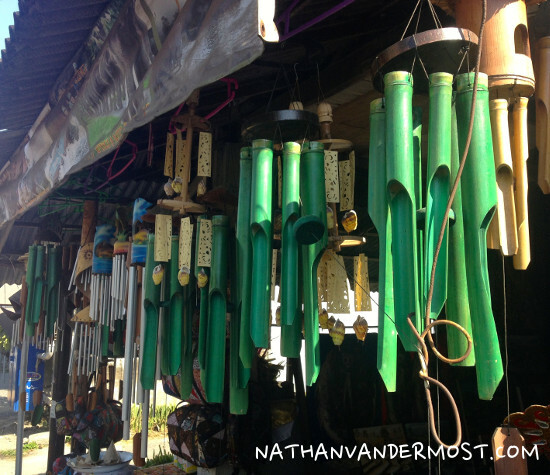 I decided to check out a temple that was close by and then proceeded to find a place to stay for the night. 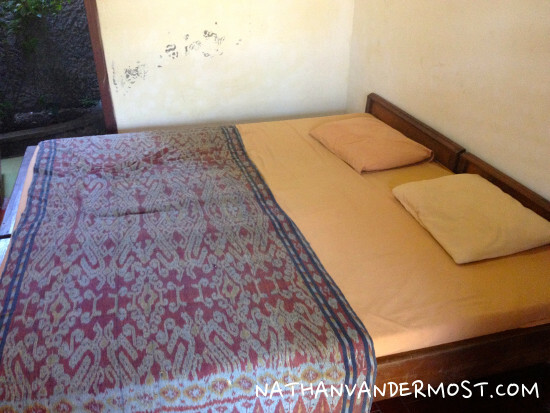 I walked down an alley adjacent to one of the main roads and found a guesthouse for 125000 rupiah or $10USD. Perfect. It had a bed and a basic shower. Sweet, that is all I need. 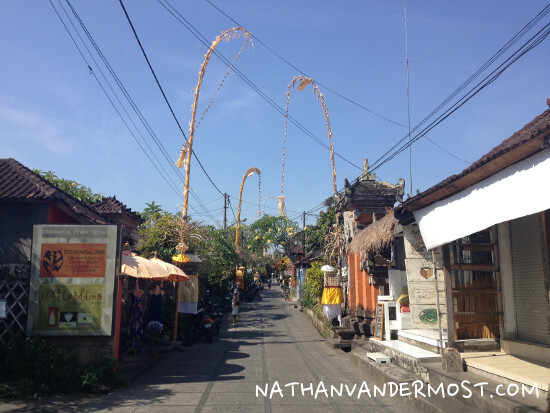 For the rest of the afternoon, I explore Ubud on foot. 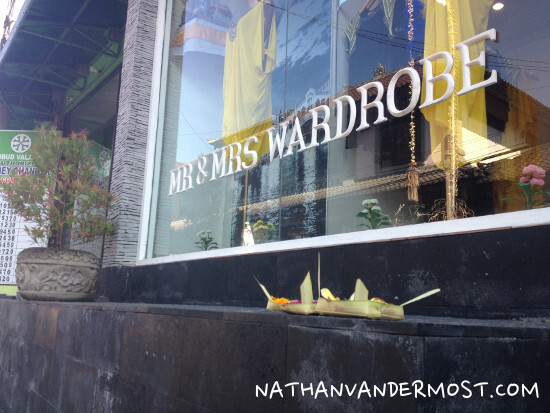 Ubud has many store fronts for shopping and a relatively big street market. The town is pretty small and easily accessible by foot. 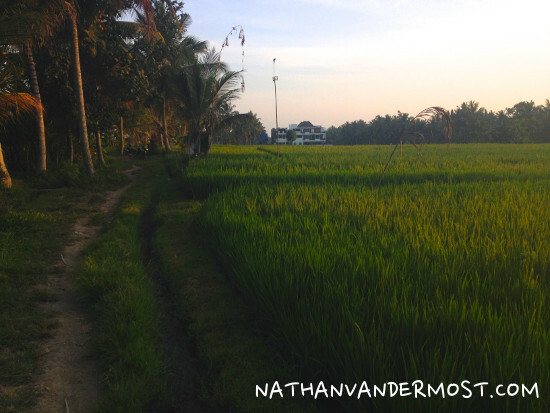 After walking around I got on my motorbike and went to to the hills to see the rice fields that surround Ubud at sunset. They were beautiful and went on forever. The irrigation infrastructure was really impressive. I got some really great photos and took in the scenery. 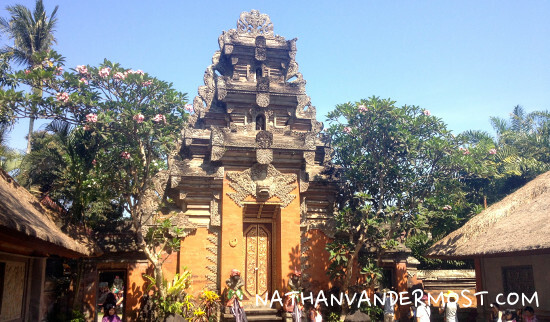 This is an example where I feel that Ubud and many other parts of Bali are too touristic because locals see foreigners and automatically associate dollar signs. I was disappointed by our interaction but obliged. The rest of the evening I spent grabbing dinner and planning my trip to hike the local volcano, Mount Batur at sunrise the next morning! 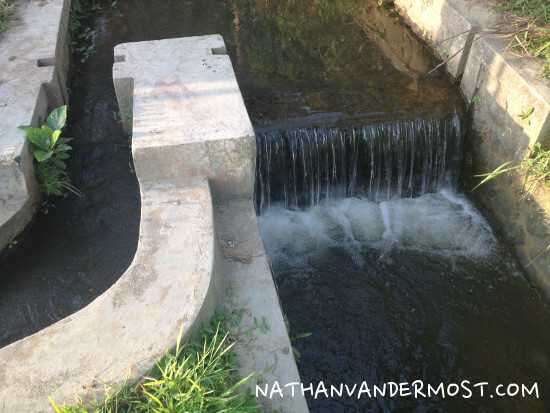 Nathan currently lives abroad as an American expat and is based in Hanoi, Vietnam. He enjoys learning new languages, meeting new people and exploring new places. 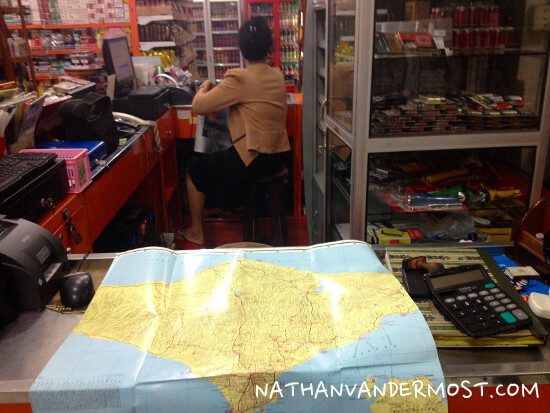 Nathan has been living abroad since 2014 and likes to stay busy plotting his next trip.